In this week's edition of The Bleacher Briefings podcast, we discuss Manny Pacquiao's win over Brandon Rios in Saturday's WBO welterweight title bout, Derrick Rose going down with yet another knee injury, and Round 14 in the Tom Brady/Peyton Manning saga! - Manny Gets Back on Track: There were a plethora of questions surrounding Manny Pacquiao heading into Saturday night's showdown versus Brandon Rios. Could he rebound from back-to-back losses? Was he too old? Was his heart still in it? Well Manny answered a lot of those questions, dominating the 27-year-old en route to a unanimous decision victory. So what's next for Pacquiao, and is there any chance we may eventually see him climb in the ring with Floyd Mayweather? Hear our take. - Another Setback For D-Rose: Last Friday, Derrick Rose tore the meniscus in his right knee against the Trail Blazers and will now miss the remainder of the season following successful surgery Monday. With the former league MVP suffering two devastating injuries in less than two years, what should the Bulls do moving forward, and what are the odds of Rose ever getting back to being the player he was prior to the injuries? We'll tell you. - Brady vs. Manning, Take 14: On Sunday Night Football, Tom Brady and Peyton Manning clashed for the 14th time in their illustrious careers, and needless to say, the game didn't disappoint. Peyton's Broncos led by 24 at the break, before Tom Terrific rallied the troops to an improbable come-from-behind win in overtime. 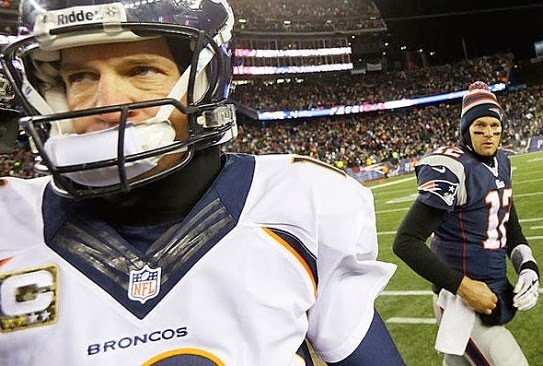 Did Bill Belichick make the right decision electing to kickoff after winning the toss in OT, and were Manning's struggles throwing the ball in the elements cause for concern for Denver once January rolls around? We break it down. We discuss the marquee matchups from Week 12 in the NFL, the biggest upsets from Saturday's slate of college football games, and the Lakers inking Kobe Bryant to a two-year extension!